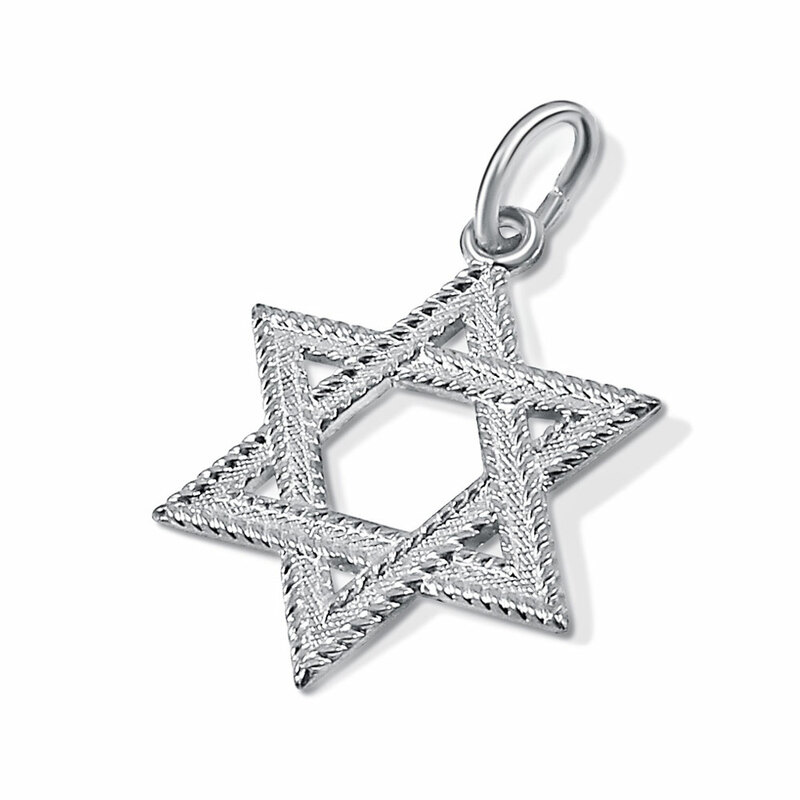 Traditional braided star of David pendant, braided edges and textured fill. A preferred traditional style with charming detail. Measures about 17mm H x 13mm W (.67 x .51 inch) excluding the hanging loop. To add a chain to this item see the options below.